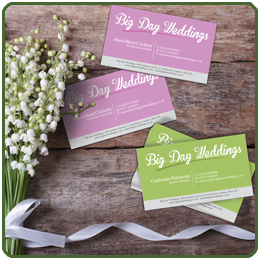 FREE Compliments Slips with Letterheads! The changes we have made to our Letterheads & Compliment Slips for 2015 means our FREE offer really is ‘the icing on the cake’. First we have upgraded our executive stock from 100gm to 120gm, and we have also re-specified it to be even smoother and more luxurious than before. Next we have revised our prices downwards to make our stationery even more competitively priced. And, finally, with our January and February Offer, you can get a corresponding number of FREE Compliment Slips with any Letterhead order up to a quantity of 2,500. The New Year is always a great time to take stock, with these three benefits it is also a fantastic time to re-stock on your stationery. 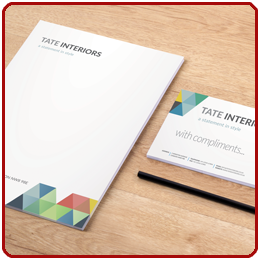 Please note: You can use this offer on any quantity of Letterheads up to 2,500. This offer cannot be used in conjunction with any other offer or promotion. Offer runs from 1st January 2015 to 28th February 2015. 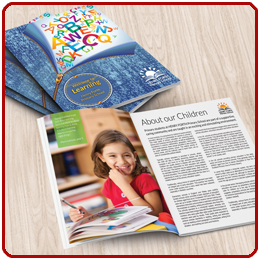 For 2015 we have reviewed our Digital Folder range and concentrated on the Folders which are overwhelmingly our most popular. At the same time we have hugely reduced their cost, making them substantially better value than ever before. For January and February, to celebrate the launch of our streamlined Digital Folder line up, we are pleased to offer you an extra special discount of 10% off our already ultra low prices. 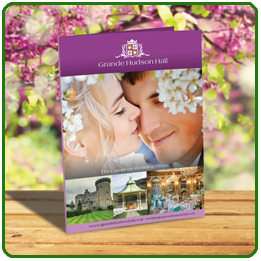 Our Digital Folders are available in any quantity from one upwards and, in common with all our Digital products, you can supply single artwork for all of your order or a multiple page PDF to have every folder different. If you have never used us for Digital Folders, or especially if you have, now really is the time for you to look at our New Year offering. Please note: You can use this offer on any quantity of Digital Folders up to 250. This offer cannot be used in conjunction with any other offer or promotion. Offer runs from 1st January 2015 to 28th February 2015. 15% off Personalised Lifesize Cutouts! 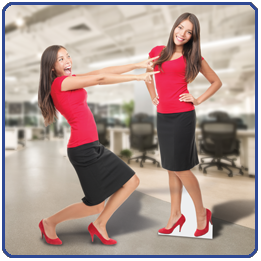 Demand for our Personalised Lifesize Cutouts increased dramatically during 2014 and we are determined that this upward trend continues in the New Year. If you have a project you have been thinking about then, with 15% off during January and February, now really is the time to make it real. Whilst we originally thought that Cutouts would be a Business to Consumer product we have found that the majority of our orders are for Business to Business. Last year we produced Lifesize Cutouts for a huge range of applications, from famous heads on columns for a museum exhibition to saucy postcard characters for a roaring 20s charity theme night. And we make huge numbers of Lifesize Cutouts for special store promotions and events. Our Cutouts are printed to an exceptionally high standard and carefully designed to fold compactly for safe transport and when not in use. Our price includes ‘cutting out’ from your Digital Artwork supplied, and we can even supply a suitable ‘body’ from our extensive range if you do not have a full image available. Please note: You can use this offer on any quantity of Personalised Lifesize Cutouts. This offer cannot be used in conjunction with any other offer or promotion. Offer runs from 1st January 2015 to 28th February 2015. 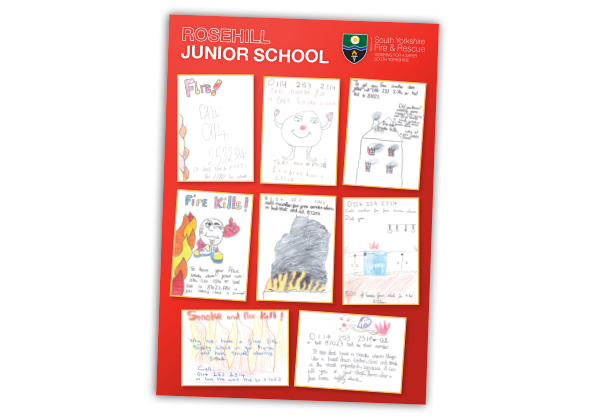 An A2 poster for South Yorkshire Fire & Rescue featuring children’s drawings from Rosehill Junior School. 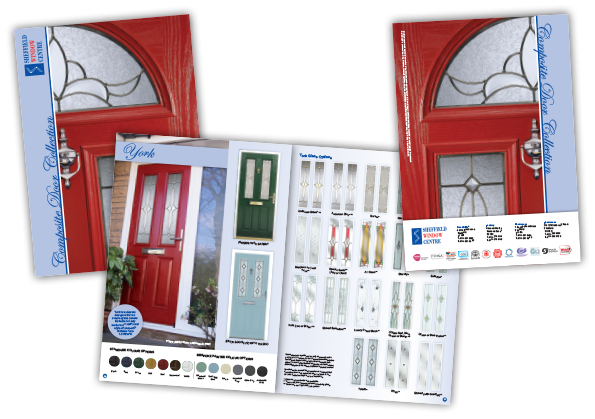 A 40 page, A4 brochure for Sheffield Window Centre containing information about their range of composite doors. 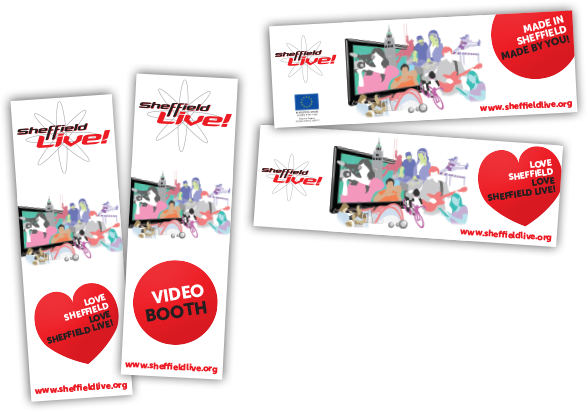 Would you like to give a personalised Folder to each delegate at your conference? How much more special would that make them feel? Would you like to send out a proposal personalised to the individual recipient? How much more impact would that make with your clients and prospects? Or do you simply want a very small quantity of Folders? 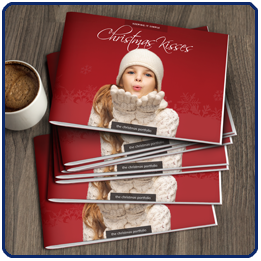 With our unique ‘Finish then Print’ technology we can produce really short runs of Folders, from one Folder upwards, exceptionally cost effectively. Plus, during July and August, we have taken Folder economy to a whole new level with a huge 35% off our already low Digital Folder prices for our most popular A4 Folder! Please note: Offer is available on A4 Digital Folder type F1 printed on 400gm Matt Art Card, unlaminated only. This offer cannot be used in conjunction with any other offer or promotion. Offer runs from 1st July 2014 until the 31st August 2014. 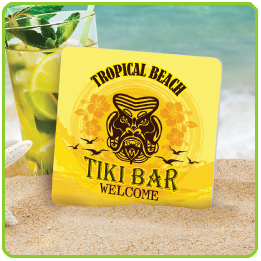 Beer Mats are always in big demand during the summer so our special offer could not be better timed. Our unique production system means our Beer mats have exceptional Print Clarity and can be ordered in quantities as low as just 250, allowing limited distribution and split testing of marketing messages. A massive 20% off this perennial favourite means you can stock up in time for the holiday season and be ready to ‘absorb the rush’ when the summer drinks arrive. 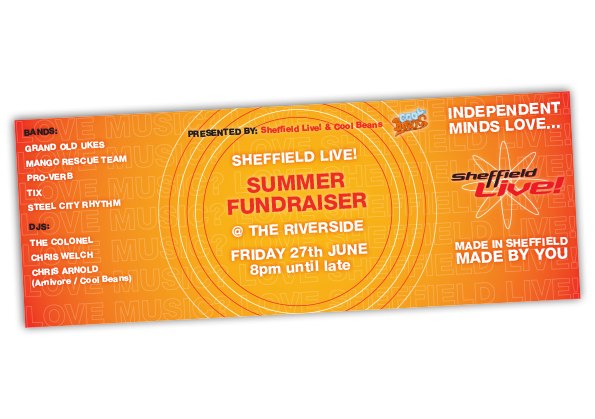 Please note: This offer is available on any quantity of Full Colour Beer Mats up to 2,500. This offer cannot be used in conjunction with any other offer or promotion. Offer runs from 1st July 2014 until the 31st August 2014. 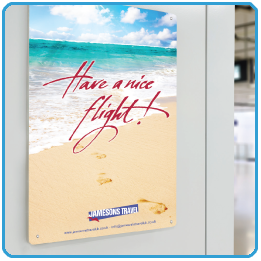 Our Metal Signs have quickly established themselves as one of our most popular New Products. Printed on Dibond Aluminium Composite sheet they are both exceptionally durable and really light, making them perfect for a huge range of permanent and semi permanent signage. Our high quality printing system means we can render Photographs as well as text in High Definition using light stable UV Inks. The quality of our finished signs is receiving particularly favourable comment. Our ‘everyday’ sign prices are exceptionally favourable but, during July and August, cost effectiveness has been completely redefined with a further 25% off! Please note: Maximum Metal Sign size is 1200mm x 2400mm. Please allow 2.5mm bleed when setting up your artwork. This offer is available on any size and any quantity of Metal Signs. This offer cannot be used in conjunction with any other offer or promotion. Offer runs from 1st July 2014 until the 31st August 2014.